In this, final, episode of Canvas, Fraser and Federico look into the future of the iPad ecosystem. 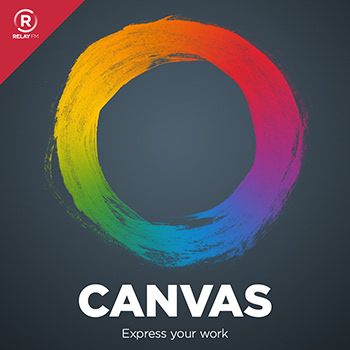 Fraser and Federico open with an important announcement about the future of Canvas, then speculate on how iOS automation might move forward in the future. In this episode on the future of the iPad, Fraser and Federico take a look at cloud services - both Apple's and third parties. In this post-event episode, Federico shares his impressions of the new 3rd generation iPad Pro and we look to the future of iPad hardware. In a surprising turn of events, Fraser buys an Android phone and Federico demands to know why. #71: Shortcuts, Shortcuts or Shortcuts? This week, Federico spends a quarter of the show saying "Shortcuts", Fraser invents a morse code Shortcut and OpenDoc is referenced in the passing. This week, Federico leads us through an exploration of the new features coming (soon!) in iOS 12. Fraser is joined by David Chartier for a wide-ranging discussion on the state of cloud storage in 2018 and its impact on our lives.